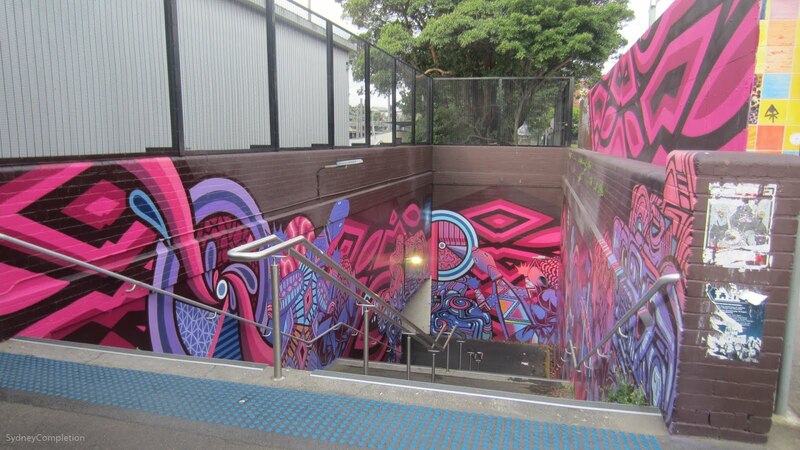 Even though Marrickville damn near killed me, here's some more Inner West. 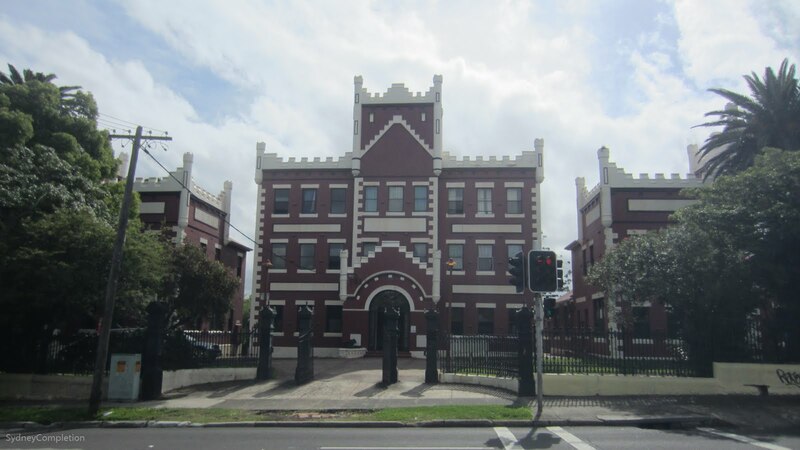 Petersham is immediately north of Marrickville, and for me that just meant a walk through residential streets to cross the border. 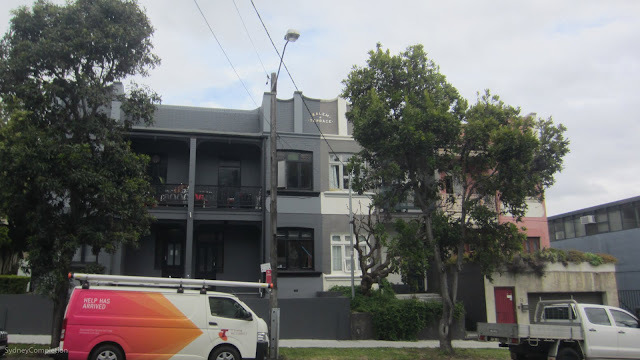 While Marrickville has plenty of standard issue Inner West terraces, crossing over into Petersham there is an immediate difference. 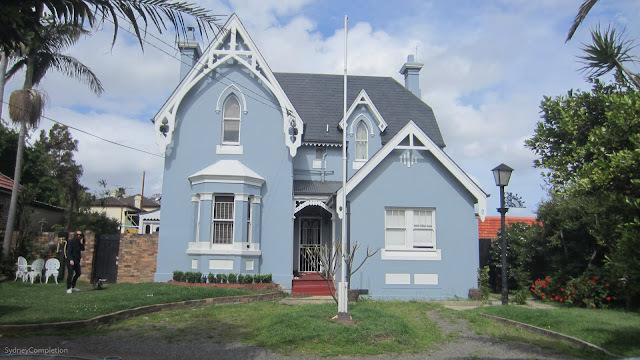 Everywhere I looked in this suburb I could see beautifully ornate, older houses. Most, but not all, of these houses have a larger footprint than the norm for the Inner West, which leads me to suspect that, historically, this must have been a wealthier area. It pleases me to see the level of care that the owners have in maintaining their homes here. For that reason I immediately enjoyed strolling through the residential streets of Petersham. Just nearby from all of the well-maintained period homes, I did see this old and industrial looking building. 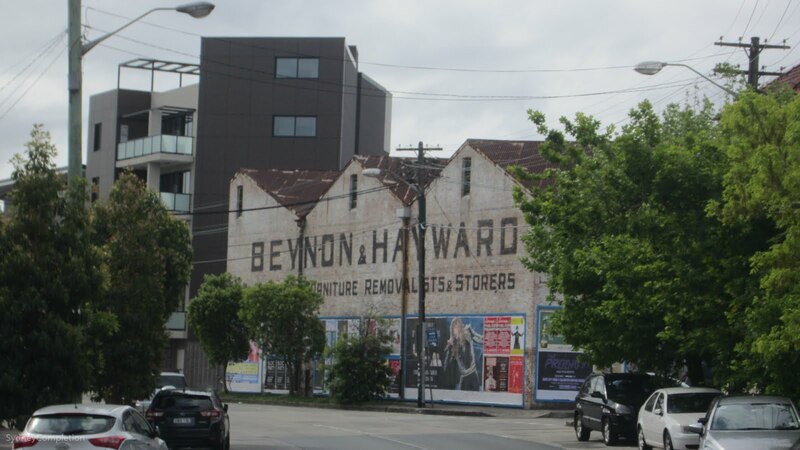 Now, this seems to just be a place for the good people of Petersham to be advertised to. 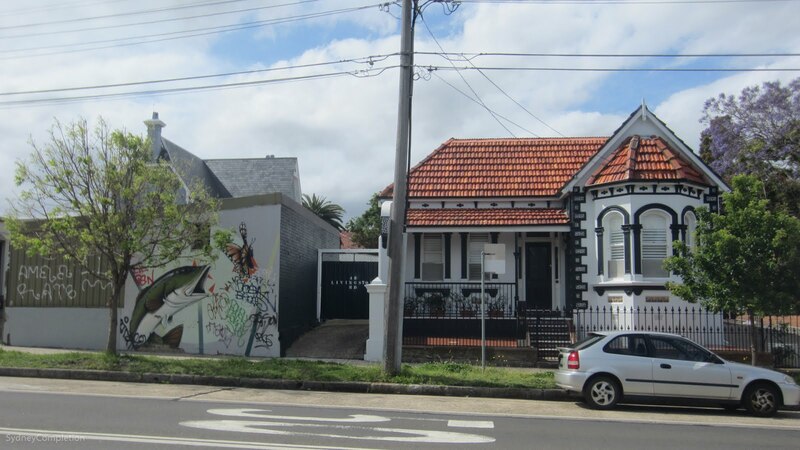 But that building/billboard is about the only bit of grunge Petersham has to offer. 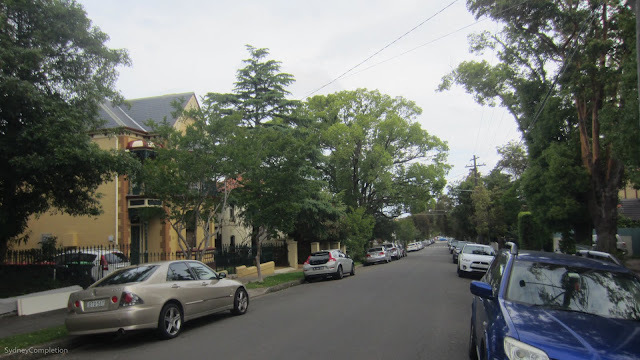 Most of the rest of the suburb seem to be these beautiful older houses on tree-lined streets. The residential streets eventually gave up and let me out onto New Canterbury Road, one of the main arteries through the city. Here I noticed that even the commercial district couldn't be spared from the ornate buildings of Petersham. 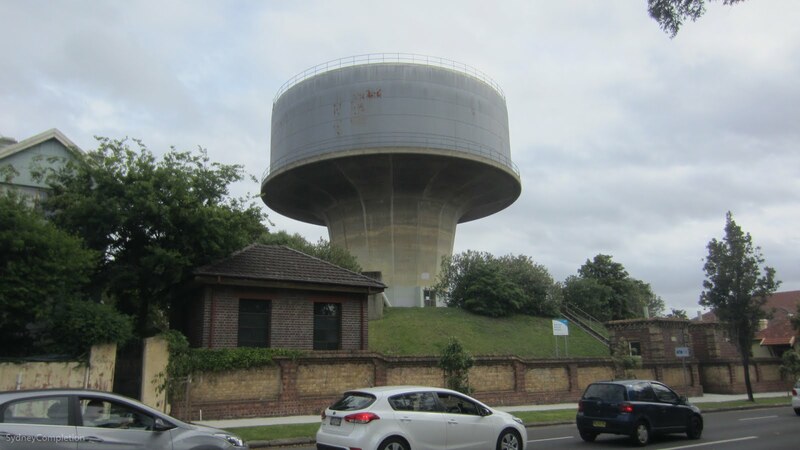 Just nearby is Petersham water tower. 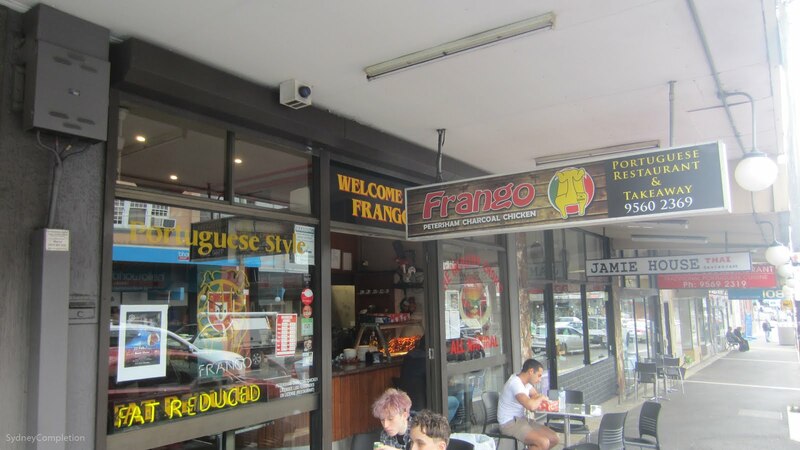 When I looked this suburb up online, I got the distinct impression that the locals seem to think that it's cooler than it actually is. It's just a water tower guys. After a long day of gallivanting through the Inner West, I had to get some dinner to bring home so I continued along New Canterbury Road. 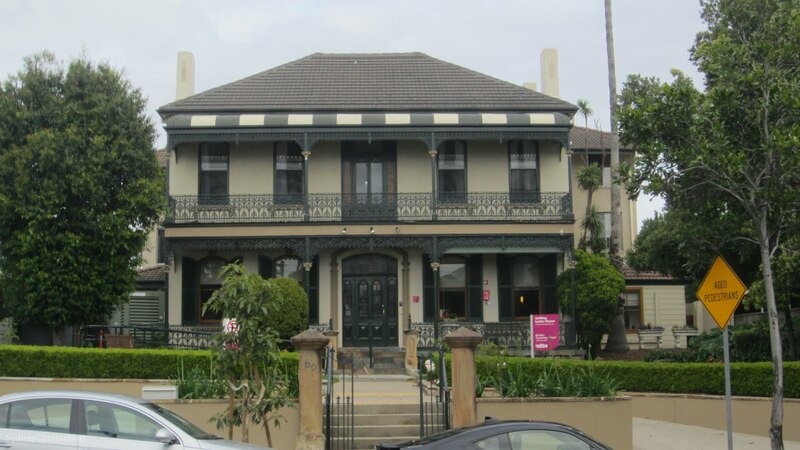 as well as even more vintage houses. This particular building is an aged-care home today. 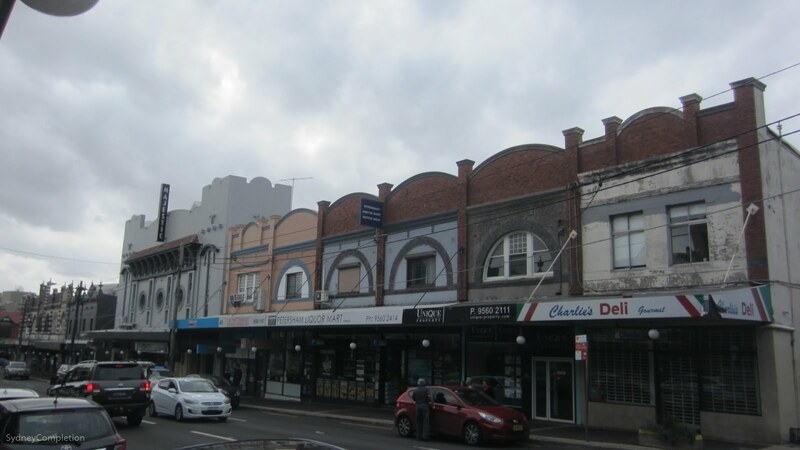 Eventually I reached what (I think) is the main commercial strip of Petersham. 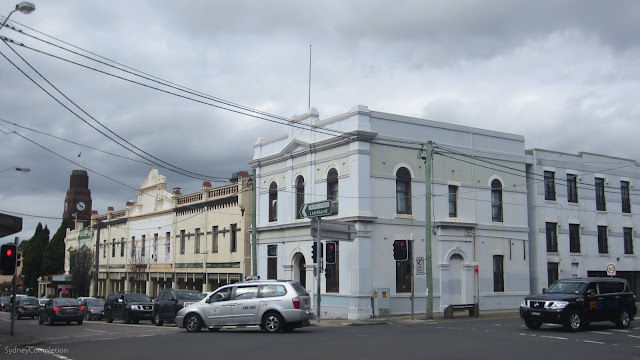 If I'm to be honest, Petersham shops aren't the most exciting place to be, I just didn't get that bustle factor that you get in a lot of suburbs. But bustle isn't why you come to Petersham. The suburb's main claim to fame is being Sydney's main Portuguese hub, despite only around 3% of the suburb having Portuguese heritage. Economists would call that a comparative advantage. That's why I came to Frango's to grab a charcoal chicken to bring home. Sadly, I only had $15 in my pocket and this place is cash only, which allowed me to get a chicken and no sides (out of principle, I don't go seeking out ATMs for businesses that don't do card). The fact that the chicken was slathered in a mouth watering mild chilli sauce made up for it though, and it definitely went down pretty well with some hot chips and tabouli from the kebab shop next to my house. With a steamy chicken bag in my hand, I made a bee-line to the train station a couple of streets away. Confusingly, these well-decorated stairs next to the train line turned out to be a tunnel allowing people to cross to the other side of the tracks, and not an entrance to the station. 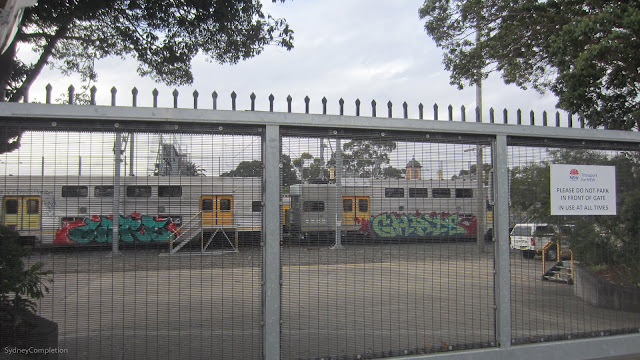 Just next door to the train station is a rail-yard. Normally I wouldn't find that interesting, but I did catch a glimpse of this retired and graffitied train through the fence. Now we know where grandpa trains go when they're too old and arthritic to keep up. 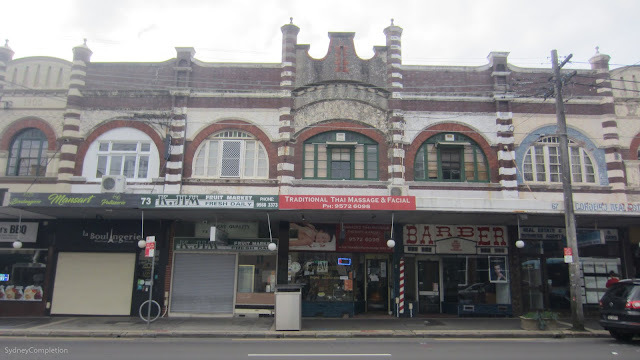 Petersham: This will be the third time in this post I've used the term "ornate".